HTC will today unveil its new 7-inch tablet device, the HTC Flyer, the first tablet from HTC that will feature the company’s HTC Sense UI, a sleek alumninium body and pen interaction, encouraging users to write down notes instead of jabbing away at a screen. 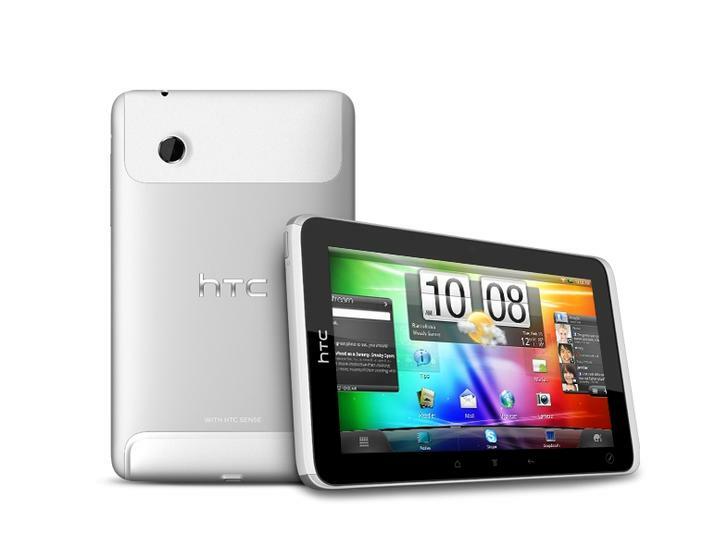 There had been rumours that the HTC Flyer wouldn’t ship with Google’s new Honeycomb operating system; that rumour has been substantiated, to a point, as it looks like HTC will be running a customised flavour of the Android 2.4 operating system that will allow them to integrate its HTC Sense, HTC Scribe and HTC Watch technologies. The Flyer will be powered by a 1.5GHz single-core Qualcomm chip and comes with a 7-inch display that features a resolution of 1024 x 600. It features a a 5MP front-facing camera and a 1.3MP rear facing camera and has 1GB of internal memory with support up to 32GB via a MicroSD slot. HTC is bundling in quite a few new design elements and features with its new tablet. The Android 2.4 operating will be distingushable from its Android 2.3 counterpart and HTC has already committed to upgrading the device to a fresher version of its HTC Sense user interface, making the tablet experience more of an HTC experience than one set by Google. The HTC Sense UI will centre around a carousel of widgets that will display a users most important content and information where it needs to be, delivering it via its sharp home screen. HTC is also debuting its new Scribe Technology, allowing users to write onto the tablet using a pen accessory. This makes it easy for users to put thoughts into e-ink; drawing pictures, taking notes or adding to a webpage or photo. To help with the note-taking process, HTC has partnered with Evernote to help users access their notes wherever they are. The Flyer will also come with a gaming platform and a new video download service. HTC Watch will allow users to watch low-cost on-demand HD content via its service, playing back movies over the Flyer’s wireless connection. Gaming comes in the form of cloud-based gaming service OnLive. OnLive allows users to output their gaming onto their TV’s via its wireless connection, or play directly on the tablet, shipping with games including Assassin’s Creed Brotherhood, BA 2k11 and Lego Harry Potter. The tablet will come in 3G + Wi-Fi and Wi-Fi only models, with just the 3G-enabled model available at launch. The tablet is expected to be made available to all customers worldwide by Q2 2011.